Fall season is upon us and I couldn't be more excited! It truly is the most wonderful time of the year for me! The mornings and evenings are cooler already and football season is in full swing! 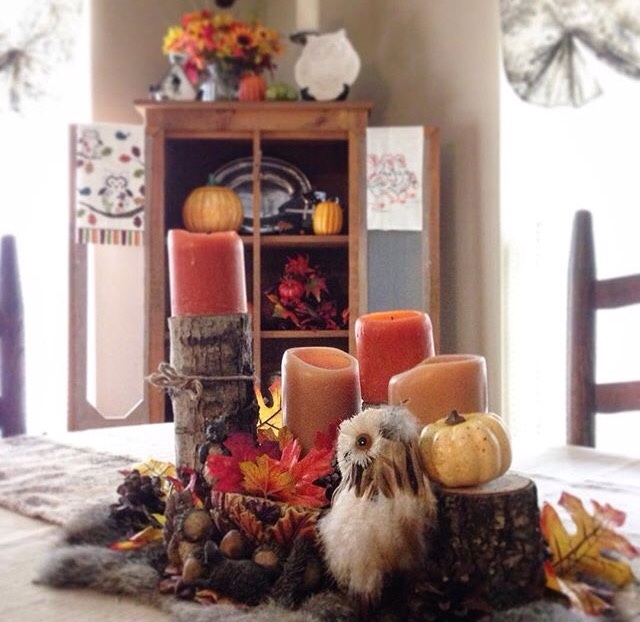 I've done my fall decorating and we've already had our first fire around the fire pit we made last year. I'm looking forward to nights under the "campy" lights, hot cocoa, and time with family and friends. 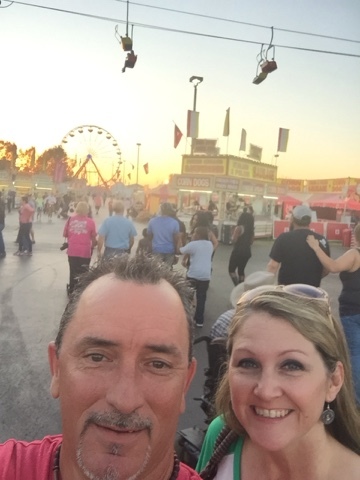 Scott and I finally made it to the Georgia National Fair last night. I snapped a few photos with my phone to share on here, so excuse the quality. What is it about the smell of the food at the fair? It always smells so good....better than it tastes for sure. Well, the funnel cake smells and tastes heavenly! That's the real reason I go! I also love the smell of the animals there for the shows and the hay and all the beautiful mums and pumpkins every where. Sensory overload! And while there, I always think about the popular children's book, 'Charlotte's Webb". I can't tell you how many times I read it. Scott and I don't have the stomach to ride the rides like we used to, but we always enjoy walking around and soaking up the whole experience. 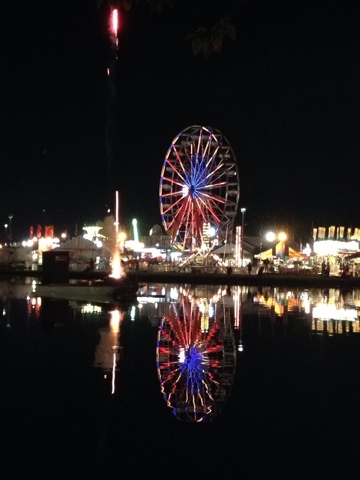 If you've never been to the Georgia National Fair in Perry, GA, you should definitely go! 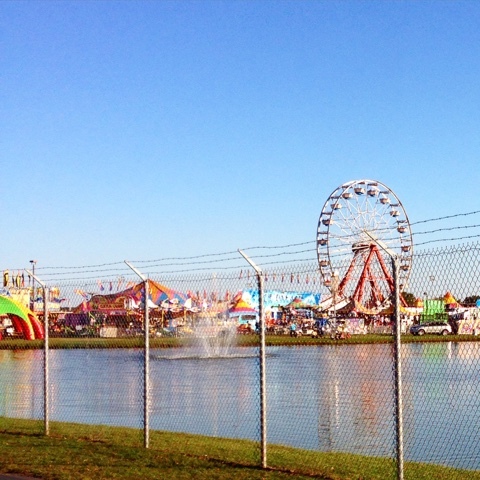 Unlike alot of fairs, all the walkways are paved, so it's really nice. You don't have to walk around in dirt and grass....that's no fun, especially when it's raining. On our way out, we stopped for one more picture and were surprised by the sudden sound of fireworks. 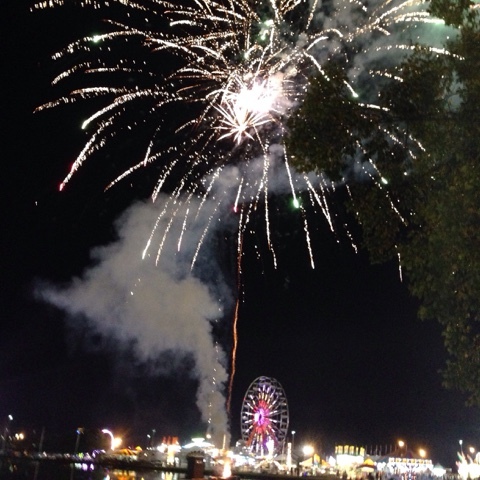 That's the way they end every night of the fair. It was beautiful and a great way to end our date night. Now....let the weekend begin! Those are great pictures and I feel the same way about this beautiful season. 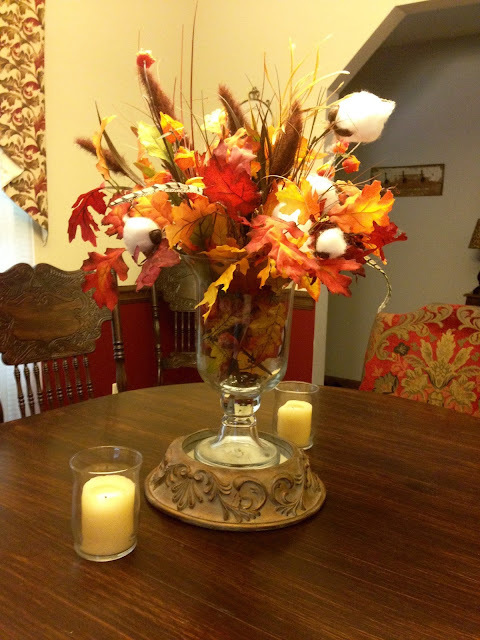 I love all the autumn touches you've placed around your home, too. Autumn colors just feel so warm and cozy. I haven't been to the fair all year. I usually go every summer, but I don't get on rides anymore either. 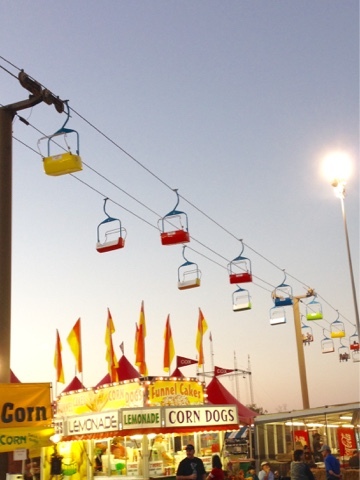 I can relate to the smell at the fair, too although the first thing I usually crave is funnel cake... yum.